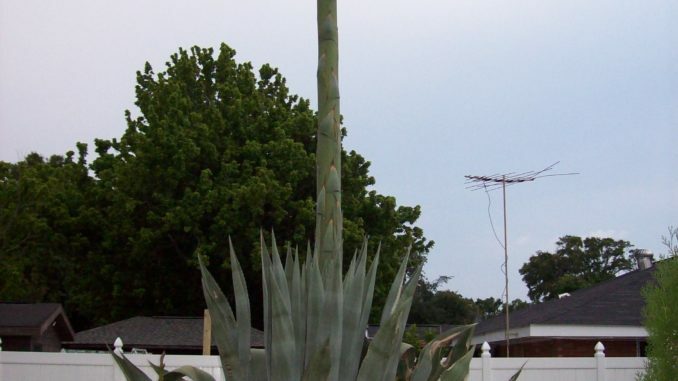 Gary and Tonya Tastet of Luling have grown this unusual Mexican Blue Agave. The Tastet’s have been growing this plant for 8 years. It has recently grown to 19.5 feet. When first planting this unique plant, they had no idea it would grow to this extreme.